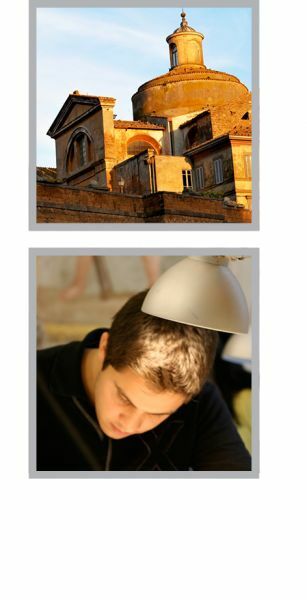 At LdM Tuscania, the curriculum has been designed to promote the historical, artistic and cultural qualities that make this part of Italy unique. Thus, courses in history and archaeology focus on the Etruscan, Roman and medieval civilizations that are at the core of Tuscania’s history and development, culminating in the summer months with the Tuscania Summer Archaeology Field School. LdM Tuscania is also recognized for its courses in the Culinary Arts, which reflect Tuscania’s connection to the agricultural cycles and traditions of the area. Italian Language learning is another important offering at LdM Tuscania, where students, among others, benefit from the course Italian Language through Service Learning, in which they are fully immersed in the Italian language through community service. As a place that has inspired famous artists for centuries, Tuscania has developed a reputation as a center for new artistic forms of expression; filmmakers such as Pier Paolo Pasolini, Orson Welles and Franco Zeffirelli have all chosen it for their films. This hilltop town is located on the border of the Tuscany and Lazio regions of central Italy, south of Florence and not far from Rome, in the breathtaking countryside of the southern Maremma. The surrounding countryside forms part of a nationally protected nature reserve and has one of the richest collections of archaeological remains in Italy. The location of LdM Tuscania is convenient for day trips to the beach, volcanic lakes and hot springs, as well as for visits to the nearby towns of Viterbo and Tarquinia, Rome, Florence, Siena, Pisa and Assisi.